September 30, 2017 — A recent trip to Asheville turned up some quality local beers, just in time for fall. Sweeten Creek, English Mild (Mild Ale, 3.8% ABV) — Somehow this Mild, at less than 4% ABV, has a sweet, robust flavor and full mouthfeel that greatly outweighs the numbers. On tap at White Duck Taco, it’s a great little beer that was the revelation of the trip. 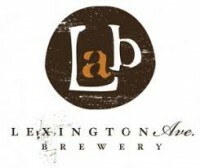 Lexington Avenue Brewery, Big Country (Double IPA, 8.9% ABV) — This brewpub has a great vibe and a excellent food. The Big Country is kind of an odd DIPA, with a rich malt framework that I love and a hearty shock of bitterness, but also a dose of crystal, almost minty sweetness than I couldn’t quite wrap my head around. Interesting? 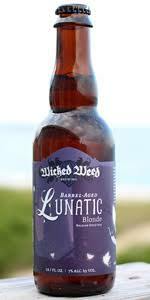 Wicked Weed Brewing, Lunatic (Belgian Blonde, 6.5% ABV) — The Lunatic starts with big spicy and peppery notes, hints of orange and melon, a touch of sweetness and a full mouthfeel. An assertive hop accent adds definition. It’s precise, bright, fantastic and reminiscent of Houblon Chouffe with more depth across the palate. 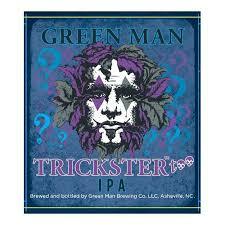 Green Man Brewery, Trisckster Too (IPA, 7% ABV) — Loaded up with Columbia, Centennial and Citra hops, this sequel to the popular Trickster is a pretty aggressive IPA. It has a bready, biscuity base but what really comes through is the punch of bitter hops with accents of lemon and cream. 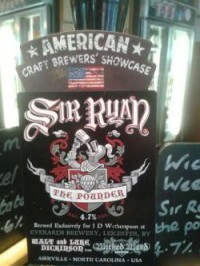 Wicked Weed, Sir Ryan the Pounder (Amber, 4.8% ABV) — The Pounder is as about as close as there is to a textbook amber in my book. Easy ABV, lots of creamy malt texture without being dominated by baked caramel, nice weight and just enough hops to keep things sharp. Nice!